Completing chemotherapy is a huge accomplishment in the battle against prostate cancer. Celebrate friends and family members who have stayed strong and surpassed this important milestone in their treatement by giving them our chemo grad t-shirt. 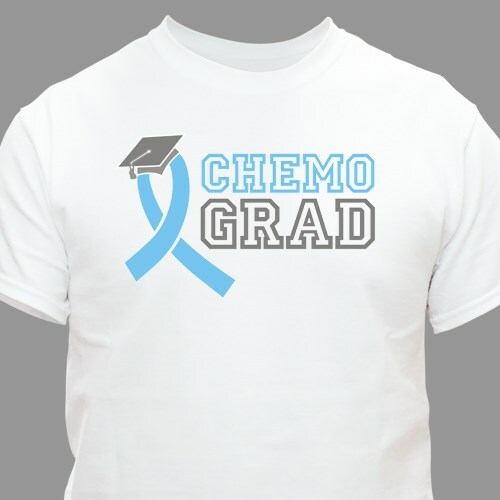 This prostate chemo grad t-shirt is available on our 100% cotton, white t-shirt. Machine washable in adult sizes S-3XL. Today’s Price: $20.99 In Stock!